Take yourself out to the ballgame and cheer on the Stockton Ports at Downtown Stockton’s Banner Island Ballpark! 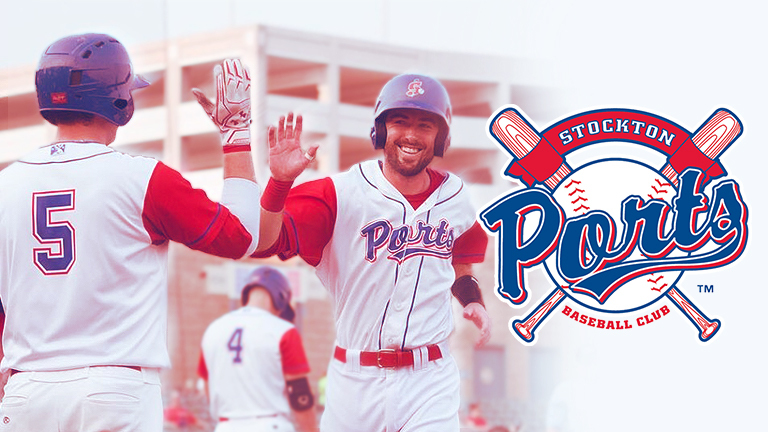 With over 60 seasons under their belts and 11 league titles to their credit, the Stockton Ports are truly a rich part of Stockton's history as well as Professional Minor League Baseball's history. Come out to the beautiful Banner Island Ballpark on the Downtown Stockton waterfront, enjoy some ballpark food, cool down with the Delta breeze, and cheer on the Stockton Ports as they play America's favorite pastime! The kids will love the SJC Foster and Adoption Kids' Zone which features a Bounce House, Giant Slide, and Speed Pitch. Trivia: Did you know Stockton's long baseball history is said to have inspired the famous baseball poem "Casey at the Bat" by Edward Thayer? Read more here! Caps & Taps: The first 500 fans receive a Ports collectible California Cap featuring 5 o'clock Doc! Presented By Tuff Shed. Plus, 12 oz Coors Lights and Coronas are only $1! Thirsty Thursday $1 Beer Night: Enjoy select 12oz drafts for only $1 from 6PM to 8PM. Purchase your tickets online or at the ballpark! Don't miss the entire Stockton Ports 2019 regular season running April - August 2019!